Dani Ceballos is a target for AC Milan in January. According to the football transfer rumours in Italian Media, Milan are eyeing move for Real Madrid midfielder Dani Ceballos. The Spain international has joined Real Madrid from Betis for a fee in the region of 17.5 million euros in July 2017. The 21-year-old has a valid contract with Real Madrid until June 2023. Dani Ceballos has played 6 times for Real Madrid since signing from Betis, scoring two goals in that time. The 21-year-old is considered to be one of the best young midfielders in Spain. Dani Ceballos has represented Spain at Under-19 and Under-21 level, winning 32 caps and scoring two goals. 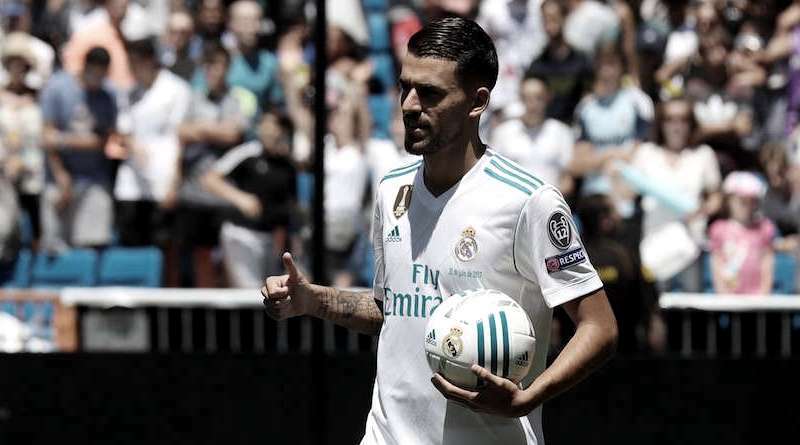 Vincenzo Montella is looking to shore up his midfield options and Real Madrid’s Dani Ceballos happens to be a target. The Spain international is thought to perfectly fit the profile of midfield player Vincenzo Montella wants to target in the winter transfer window. Vincenzo Montella will reportedly be handed a huge transfer kitty this winter and the Real Madrid midfielder is thought to be among the manager’s priorities. AC Milan will be in the market for just a handful of statement signings this winter who can improve the first-team. The 21-year-old would be a very good addition for AC Milan and they can afford him as well. According to the report in Italian Media, despite the fact Dani Ceballos only moved to Real Madrid this summer to take James Rodriguez’s place in midfield, the amount of players Zinedine Zidane has in that position means he’s been unable to give him too many minutes. AC Milan, who spent 200 million euros in the summer, want to sign the 21-year-old midfielder to try and turn around their poor start to the campaign. It will be interesting to see whether AC Milan make their move during the January transfer window.